Spring’s now definitely in the air and we’re working on our plans for rest of 2018 – the last year for What Works Scotland. Looking forward to a productive time with much to share and lots of dialogue, deliberation and reflection. Our plans for 2018 are focused on drawing together the findings from the different strands of our work and spreading the word about what’s been learnt about collaborative public service reform. We’ll synthesise the findings from in-depth collaborative action research work with community planning partnerships in four case sites, and combine this work with findings from our other workstreams to offer a detailed conceptual and practical analysis of public service reform. Our aim is to facilitate practical and strategic understanding of this for multiple partners involved in public services. 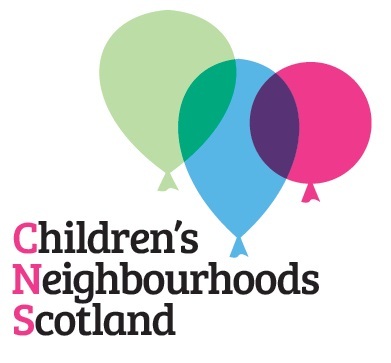 Children’s Neighbourhoods Scotland, supported by What Works Scotland, was officially launched in February to bring people together to do more for children and young people. A children’s neighbourhood aims to make sense of the range of different services, projects and interventions in an area and go beyond existing partnership to make sure they’re are working together towards what local people want. 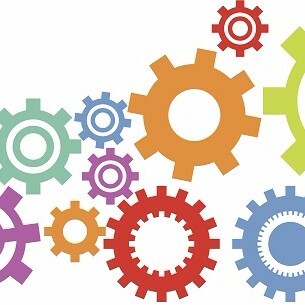 What Works Scotland is undertaking a small research project into policy implementation and third sector-state relations focussing on the Scottish Government’s introduction of Participation Requests as part of the Community Empowerment Act. Participation Requests are a new legislative tool that enable a community group or body to request to be part of decision-making processes that seek to improve outcomes. The researchers, based at Edinburgh University, have already undertaken data collection and are currently analysing the findings with the intention of producing and sharing a short research report during 2018. There is a current emphasis on prevention and shifting the balance of care away from hospitals into social care in the community. To change the balance of spend depends on releasing resources from current (less valuable) uses of resources to invest in (more valuable) alternatives. But prevention and new forms of care in the community are not just seen as areas for additional investment. They are also seen as offering potential to make the savings necessary to fund that investment. This seminar, organised with ScotPHN and NHS Health Scotland, will discuss some of the beliefs and assumptions implicit in this narrative. It will try and achieve a common understanding of the different terms used in the discussion: prevention, savings, disinvestment etc. It will also focus on how to measure and how to realise potential savings, recognising that this raises both economic and political/stakeholder issues. NEW VIDEO! Watch the presentation from the launch of the Evidence Review . This Review explores the intersection between community engagement and equality. Inequalities in health, wealth, income, education and so on, can be seen as stemming from inequalities in power and influence; therefore, community engagement processes can simply reproduce existing inequalities, unless they are designed and facilitated to distribute influence by ensuring diversity and inclusion. What Works Scotland researchers Dr Hayley Bennett and Dr Richard Brunner drew on their experiences of conducting a collaborative action research with multiple public services to give a seminar at the University of Glasgow on their research into the relational and political aspects of collaborative action research work. They are developing the concept of a ‘buffer zone’ to conceptualise the work that takes place to create and sustain relationships – beyond gate-keeping interactions – to undertake collaborative inquiry work. There’s a growing focus on prevention in public services but how can multi-layered, multi-agency partnerships develop preventative approaches and practices? 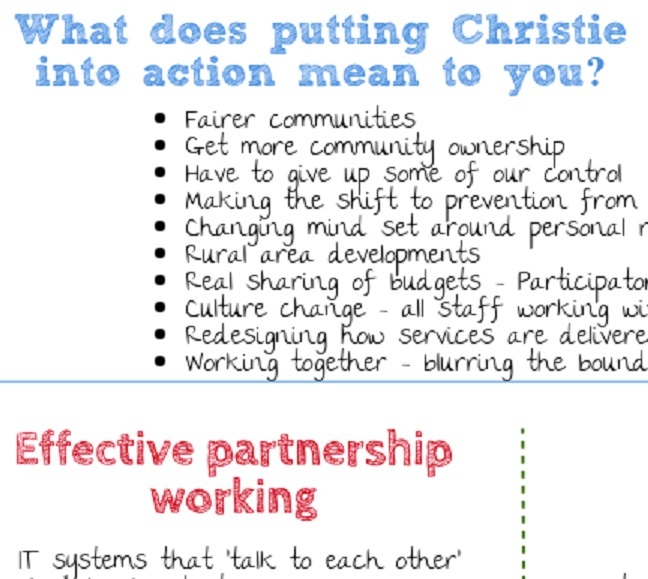 This report and executive summary, co-produced by Aberdeenshire Community Planning Partnership partners and What Works Scotland, describes several collaborative learning and action processes illustrating the CPP’s emerging policy and practice as the partners explore ‘putting Christie into action’ and opportunities arising from the Community Empowerment Act. The report looks at what is being learnt from collaborative learning and action processes, and the potential to develop relevant preventative practice through collaborative learning, engagement with evidence, and exploration of creative approaches to prevention. This report reviews a series of collaborative service delivery projects designed to improve social and economic outcomes for people experiencing poverty in Glasgow. It is published by the Glasgow Centre for Population Health and the Joseph Rowntree Foundation, supported by What Works Scotland. Dr Hayley Bennett has written about collaboration across organisational and professional boundaries to develop research capacity, improve knowledge or co-produce policy ideas to address inequality and improve anti-poverty activities in Scotland. The future of joined-up working and integration in Scotland: Time to concentrate on collaborative practice? In this blog post, Dr Hayley Bennett outlines some key ideas from a recent presentation on collaborative practice and public service reform in Scotland. She argues that we need to focus on collaborative practice as much as we discuss large structural changes and organisational mergers, as well as identifying some of the challenges to putting collaborative governance into practice. The new Centre for Homelessness Impact, based in Glasgow, Edinburgh and London, will analyse how to most effectively prevent and tackle homelessness. 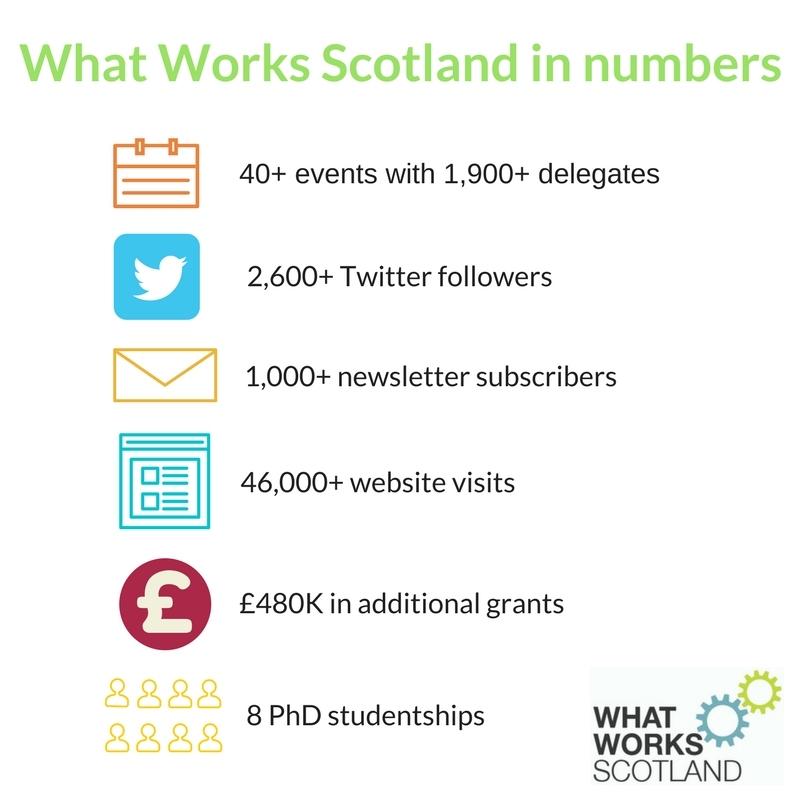 It aims to help policymakers, commissioners and frontline practitioners build and use evidence about ‘what works’, supporting them to make effective use of resources and to improve impact. The Centre is currently seeking a Head of Evidence and Data to help shape and establish the work of the Centre: closing date is April 15. The Criminal Justice Voluntary Sector Forum is holding a free, one-day conference exploring the role played by the third sector in achieving community justice outcomes in Scotland. Beyond Consultation: Building Real Partnership in Community Justice takes place on 28 March 2018. IRISS and the Scottish Inter-University Service User and Carers network will host one-day event to share the learning from service user and carer involvement in social work education. The event, on 17 April, will focus on sharing and celebrating the best, and asking and informing ‘what’s next? Register for a place on Eventbrite. SURF is running three SURF Award Shared Learning Events in May . These free half-day workshops provide an opportunity to share learning and discuss wider relevant policy issues. Edinburgh Napier University is running a Working in Healthcare free seminar on May 8 which aims to bring together academics researching work and employment in the healthcare sectors to discuss their work and to provide a place to build a network of researchers interested in working collaboratively in the future. Volunteer Scotland is s offering a (paid-for) volunteer management course over three days in April and May, which will also be available online. IRISS has published a report from the Scottish Evidence Summit 2018, which brought together representatives from health and social care, justice, housing and education. PB Scotland has published a report from the PB Scotland conference 2017, focused on the theme ‘How far have we come with participatory budgeting in Scotland’. Evaluation Support Scotland has launched the Understanding Intermediaries’ Impact resource. 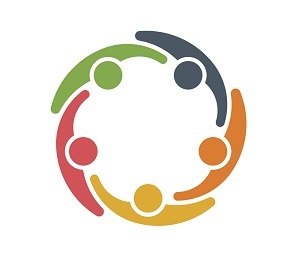 It aims to help third sector intermediary organisations and those who work with them, to be clear about the role and impact of intermediary organisations and to have helpful discussions about what evidence to collect and report upon. Recordings from the Glasgow Centre for Population Health seminar series are also now available online including Mark O’Neill, former head of Glasgow Museums, who outlined the impact museums can have on health and wellbeing in Museums and public health in Glasgow – the lessons of history and Pete White, Chief Executive of the charity Positive Prison? Positive Futures, who raised important questions about the role of prisons and the criminal justice system in From prison to parliament – bringing dark experience to light. The Centre for Research on Families and Relationships has published the research briefing Can we put the ‘poverty of aspiration’ myth to bed now? written by Dr Morag Treanor. The Children’s Parliament has marked its 21st anniversary event with the publication of What Kind of Scotland? Children influencing Scotland’s future. You can also see its latest short film, Healthy Happy Safe: A children’s rights-based approach for Scotland, on the website.